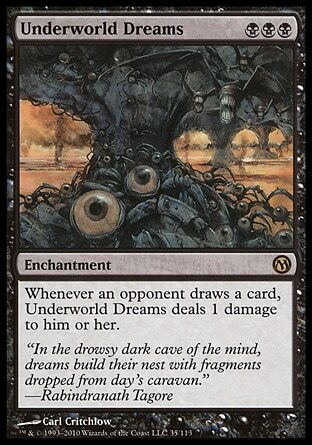 After hearing someone earlier in the day describing his epic Magic The Gathering skills, featuring a combo that consisted of Underworld Dreams / Wheel of Fortune / Fork, I could only shake my head in disapproval. 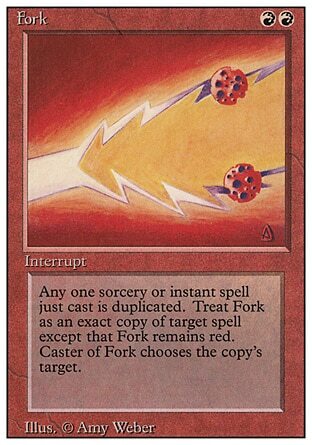 The combo works, fair enough, and I wasn't particularly concerned with the legality of said cards in any sort of tournament format, but because of the ill conceived mix of mana types for the casting costs of the spells involved, I was in a state of shock. Three swamps in a non-mono-black deck? Combined with a 2 card, triple mountain pay-off? Come on! 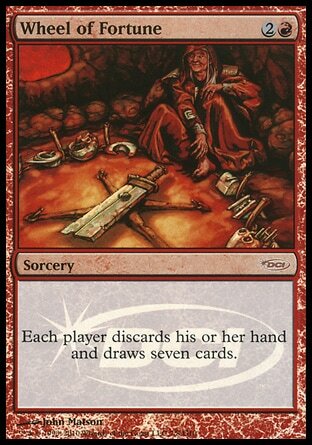 It's just too mana inefficient for a direct burn deck, and too unreliable of a combo (considering you only get one wheel of fortune per 60 cards as its a restricted card). After a weird rant trying to convince a table of full of people of this fact, many of which didn't even know or care about MTG, I knew this was the right moment for this post. So hot. I wish I were wearing a comic book guy t-shirt.